Finding a job in this economy seems like a daunting task. Anyone who is unemployed will tell you how difficult it is to spend hours sending out resumes, only to be met with an enthusiastic or nonexistent response. Yet we all know someone who successfully found a job that they love. It is not because they are luckier than we are or because they went to a better school. They got their job because they understand what hiring managers look for. That’s right. If you are struggling to find a job, you are probably doing something to rub hiring managers the wrong way. Hiring professionals have the demanding task to screen hundreds of resumes and cover letters for each position they need to fill in their company. With so many resumes detailing similar skills like proficiency in Microsoft Office, hiring professionals have a difficult time selecting their next star employee. They cannot interview every candidate, or even every qualified candidate, so they use specific criteria to interview only those candidates that look like great fits. As a recent college graduate and current intern at OpenSesame, I wanted to gain insight on how hiring professionals screen candidates – what do they look for when selecting candidates to interview and fill a position? Here are the top 5 insights I gleaned from my conversation with a hiring professional here at OpenSesame. 1. You’re competing with a lot of other applicants. 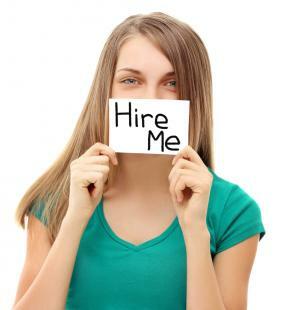 Companies typically receive more applicants and resumes than they are able to interview. The ratio of individuals who apply for entry level jobs to individuals brought in for interviews is roughly 3:1. For instance, OpenSesame received over 70 applications for the summer internship program and offered positions to 20 of those applicants. Candidates applying for higher-level positions are interviewed more frequently. 2. Your resume needs to stand out. Hiring professionals check that candidates have relevant experience matching the position, so be sure every item on your resume is directly connected to a requirement or preferred skill listed in the job description. Be sure to mention what you did at your previous job that made you a top performer. If you started using the computer after 1989, it’s assumed you know how to use Microsoft Word. Save that space to talk about how you increased sales by 40% or programmed an internal search engine that saved employees hours each day. 3. Employers check your references, but they also check your LinkedIn, Facebook, Twitter, etc. Bad hires cost companies considerable time and money. Employers barr themselves from bad hires by verifying qualifications and experience with the candidates listed references. They will increasingly also check a potential hire’s social media sites. Make sure you are putting your best foot forward by refraining from posting (or successfully hiding) content that is profane or otherwise inappropriate for work. Your friends may love your party pics, but a hiring manager will not. 4. Sometimes it is not about what you know, but who you know. If you know someone in the company, you are more likely to be selected for an interview. It is crucial to create these relationships before applying to the company. Try taking a hiring manager or current employee out to coffee. This allows you to learn more about the company and build a relationship that can help you get your foot in the door. 5. Come to an interview ready to sell your abilities. While interviews vary based on the company, interviewer and open position, most interviews cover the candidates background and relevant experience (Click here for Frequently Asked Interview Questions). Come prepared to enthusiastically convince the interviewer that you are the best candidate for the position. After the interview, follow up at your discretion. If the interviewer stated an exact time they would correspond with a decision, the candidate should not follow up before that given time. Respect the fact that hiring professionals have busy schedules and have a lot of candidates to correspond with. Thank you notes and emails are appreciated, but following up via telephone may annoy some hiring professionals.